The Back Alley Clean-up is an annual service put on for a week in the Spring by the Public Works Department. The purpose of the Back Alley Clean-up is to help residents remove accumulated clutter and keep the alley’s clean. 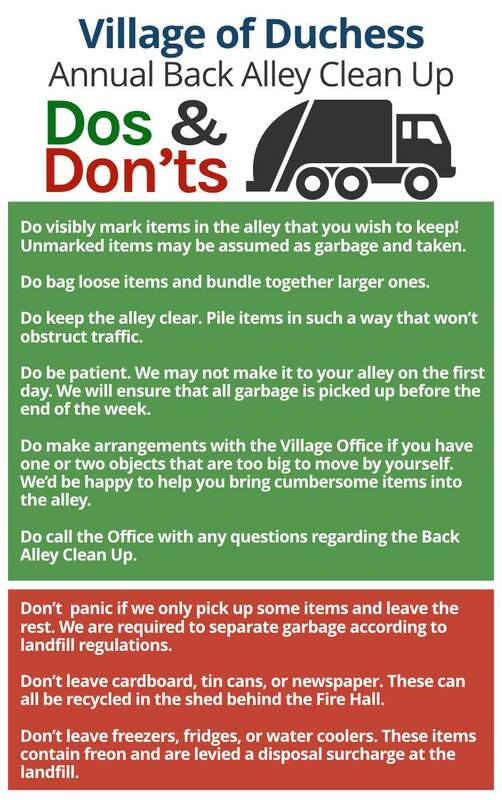 Residents are encouraged to leave garbage in their back alley that is unfit for the weekly garbage collection and a crew from the Public Works Department will haul it the landfill free of charge. Dates for the next Back Alley Clean-up will be announced in an upcoming newsletter accompanying your utility bill.